When an animal enters and dies in your home, it is important that experts remove the carcass as soon as possible. Commonly found animals include squirrels, raccoons, mice, rats, opossums, and skunks. 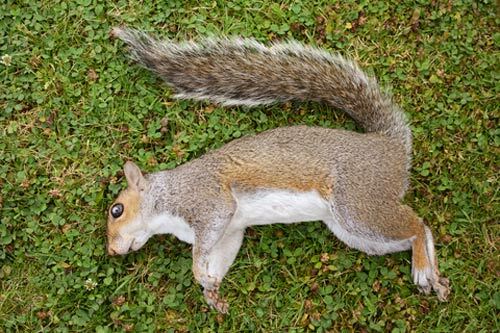 Homeowners risk unpleasant odors and stains, disease, contamination, and further pest infestation if dead animal bodies are left unattended in homes or yards. The first thing you will notice when an animal has died in your home is the odor. The dead animal may be obscured from view in walls, ceilings, or dark crawl spaces. The bodily decomposition fills the area with the smell of rotting flesh, and the stench becomes more and more unbearable as time passes. Insects and animals like flies, worms, beetles, crows, and vultures will feast off animal carcasses. These creatures are considered nuisance pests by humans, and their presence causes additional problems. If you're having trouble with what you think is a dead animal, please call us at 716-208-5110. We will quickly locate and remove the problem, and we will work to repair any damage the dead animal caused.